Now that skyship spells have been described in detail and general skills improved, I present you with detailed stats for the captain of the Star Phoenix, developed for D&D BECMI game mechanics. There were personal interpretations on my part, since I started from the original Pathfinder material published in CAL1 “In Stranger Skies.” Ideally, I’d like to see all this translated into D&D 5th edition—alas, I’m not familiar with this new system. Any volunteers among the Calidar fans, do let me know! Unlike the official D&D game, Calidar’s system-neutral stats differentiate between Body Agility (Agt) and Manual Dexterity (Dex). Dexterity affects hand-eye coordination and therefore ranged weapon bonuses and precise actions like disarming traps. Agility governs Armor Class bonuses and movement-related feats like climbing, dodging, or horse riding. These stats are listed according to the original intent, but they can be combined as a single Dex score for simplicity (if in doubt, use the best score). Calidar books commonly describe NPCs as multi-classed. Isledemer is both a fighter and a magic-user. Since Basic D&D mechanics don’t lend themselves to multi-classing, assume the character splits gained XPs between the two experience progression tables. Finally, Calidar wands produce protective magic used to parry direct attacks (either physical or magical). These wands' primary purpose is otherwise to help with spellcasting; they don't generate specific magical effects. Click here for details on this approach. Digital Art / Drawings & Paintings / Fantasy ©2013-2018 ElifSiebenpfeiffer. Skyship Captain: AC 3 (unarmored), Lvl 12 swashbuckler/sorcerer, hp 40, MV 120’ (40’), AT 1 spell or 1 rapier +2 (left hand, expert skill) and 1 personal wand +2 (right hand, parry only), Dmg by spell or 2d8+2 rapier, Size M—Str 13, Dex 16 (Agt 16/Dex 11), Con 14, Int 17, Wis 13, Cha 15, ML 10, Saves as fighter, AL Neutral (or “Neutral Good” in other game versions). Faith: none established. Credentials: none. Apparent Age: 30s. Ancestry: human; unknown origins. These stats were updated Oct 10 (in red). Mea culpa. I was using the wrong conversion chart. Those listed in CAL1 "In Stranger SKies" had been altered to work with Pathfinder as best as I can figure. The ones above come from my original 2013 draft. I had to dig around for that. Spellcasting—L1 x4, L2 x4, L3 x4, L4 x3, L5 x2, L6 x1. General Skills—Set #1 Airship Commander incl. Aerial Navigation (Int), Leadership (Cha), Piloting (Dex), Skyship/Magical Engineering (Int), Skyship Tactics (Wis), and Weather Sense (Wis); Set #2 Swashbuckler –2 incl. Acrobatics (Agt), Alertness (Agt), Bravery (Wis), and Quick Draw (Dex—esp. his magical wand); Individual Skills incl. Alternate Magic (Int), Court Etiquette (Cha), and Horse Riding (Agt). 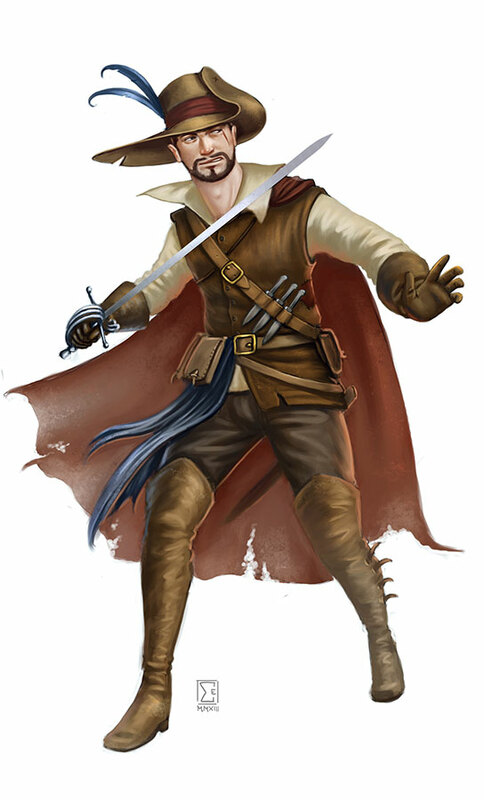 Weapon Proficiencies—two-handed combat (wand/rapier as an expert) and basic proficiency with daggers and light crossbows. Commander’s Rating—(16) Expert (see Skyship Saving Throws). Equipment: Personal wand +2, rapier +2, ring of protection +1, hat of defense AC 6 (if lost, it reappears at his feet later on), boots of equilibrium (+3 bonus to Agility), two-way scroll of communication, potion of healing. Spellbook: L1—Analyze, Structural Appraisal, Booming Voice, Detect Magic, Find the Wind, Hold Portal, Light*, Magic Missile, Protection from Evil, Protection from Rot, Protection from Rust, Read Languages, Read Magic, Sleep, Triangulate, Ventriloquism. L2—Captain’s Jinx, Continual Light*, Detect Evil, Detect Invisible, Helmsman’s Glory, Helmsman Helping Hand, Invisibility, Knock, Local Object, Phantasmal Force, Phantasmally Displayed Figments, Restore Wood, Sky Sight, Web, Wizard Lock. L3—Air Anchor, Artificer’s Mending Brace, Create Air, Dispel Magic, Fireball, Fly, Hold Person, Protection from Normal Missiles, Smother Conflagration, Unyielding Cord, Wizard’s Tail. L4—Artificer’s Unseen Shield, Clothform, Dimension Door II, Remove Curse, Cloudscreen (see below), Wizard Eye. L5—Captain’s Instant Skiff, Contact Outer Plane, Dissolve, Hold Monster, Spectral Sail. L6—Artificer’s Hold Distortion, Invisible Stalker, Projected Image. Captain d’Alberran created this spell as a way to mask his skyship from view. The invocation brings into being a large, opaque cloud or a fog bank about twice the size of the Star Phoenix. From the inside, it appears merely as a fine mist. 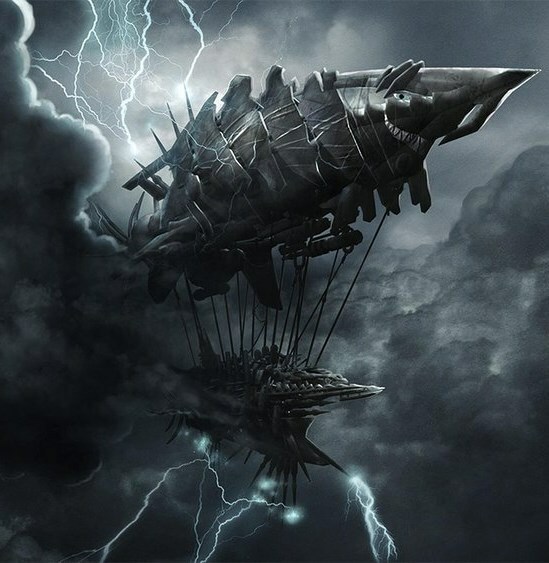 The dweomer travels with the ship, regardless of atmospheric conditions. It is indistinguishable from natural clouds when moving along with them at prevailing wind speed. The effect may end when dismissed by the caster or dispelled. The reversed version of the spell clears all clouds, vapors, fog, smoke, and dust within a 500 yard radius. On the other hand, such a hero does not typically wear protection beyond leather armor; magic items other than armor are otherwise acceptable. Therefore, shields, helmets, chainmail, and plate armor are not acceptable items. Master & Commanders of the Star Phoenix. During my attempt to translate into D&D BECMI game terms the stats of the crew serving on Calidar’s Star Phoenix, it occurred to me that the present system remains pretty limited. It is on a par with the intent of the original rules: to remain as simple and straightforward as possible, in keeping with the nature of D&D’s red box. Though I do appreciate the latter’s intrinsic value, I had to come up with optional mechanics to depict characters whose skills exceed what can be expressed in Basic D&D terms without breaking established rules. I’m referring in particular to the general skills described in the D&D Rules Cyclopedia, pages 81-86. Top Illustration: Kerem Beyit ©2004-2008. My biggest issue concerned specialists and characters with extensive professional backgrounds. As can be anticipated, the basic rules would be at a loss to depict someone like the seasoned captain of a skyship, someone like… you guessed it: Captain Isledemer d’Alberran. Approaches that I saw elsewhere crossed my mind (kudos to game designers who first came up with the idea), consisting in sets of specialized skills as opposed to totally unrelated skills—see “Beginning Skills” on page 81 and “Learning More Skills” on page 86. Sets of professional aptitudes regrouping multiple related skills should become an option. The idea is to allow more skill slots, but with built-in penalties that are less severe than halving parent ability scores or automatic failures. Any single set of related skills can be acquired at the cost of 1 single slot. A set’s built-in penalty can then be reduced by 1 point the at the cost of another skill slot. The chart below illustrates the different aptitude sets. Skills can still be acquired individually, “à la carte,” which then incur no penalties. Based on the above numbers, the Limited set provides 4 related skills at the cost of 1 slot, all incurring a –2 penalty. Fully eliminating this set’s penalty would only cost another 2 slots. Therefore, at a total cost of 3 slots a Limited set can provide 4 skills without penalty. Essentially, after negating built-in penalties, the Limited set yields a free skill, two for the moderate set, or three for the extensive set. It’s the advantage of learning “job-related” skills versus totally unrelated ones. Earning extra skills with built-in penalties gives more flexibility when developing a character with few slots available, while it reinforces the logic of concentrating on the character’s key background. This option can be applied without altering any of the Rules Cyclopedia’s existing mechanics. As a final recommendation, once penalties have been eliminated from an entire set, further skill improvements should be handled individually, as the established game mechanics suggest. Update: 9/27/18—The 3 categories (Limited/Moderate/Extensive) aren't meant to imply "experience" but instead to define the number of initial skills, hence the increasing built-in penalty. Actual experience comes from additional slots spent to reduce or eliminate built-in penalties. Here’s an example of how a skyship’s captain with 8 skill slots may be described: General Skills—Set #1 Airship Commander incl. Aerial Navigation (Int), Leadership (Cha), Piloting (Dex), Skyship/Magical Engineering (Int), Skyship Tactics (Wis), and Weather Sense (Wis); Set #2 Swashbuckler –2 incl. Acrobatics (Dex), Alertness (Dex), Bravery (Wis), and Quick Draw (Dex); Individual Skills incl. Alternate Magic (Int), Court Etiquette (Cha), and Horse Riding (Dex). The above shows one moderate set listed without a penalty (cost: 4 slots), followed by a Limited set listed with a –2 penalty (cost: 1 slot), plus another 3 individual skills—total cost: 8 slots. Should any of the individual or airship commander skills receive an improvement, add the bonus after the ability, such as: Aerial Navigation (Int +1). If you enjoy the D&D BECMI game, do pay us a visit on Facebook, if you’re not already a member. Click on the image below for a direct link. (*) Gambling comes with a built-in +2 bonus, eliminating two other skills. (*) from local or neighboring cultures, (**) from exotic cultures at the DM’s discretion, (***) of monstrous origins at the DM’s discretion. (**) Types of merchandise include precious metals & gems, items of art, livestock, raw goods (oil, wine, flour, wool, hides, timber, etc. ), finished goods (textiles, furniture, leather goods, man-made objects other than artwork, etc. ), banking/lending, and real estate. 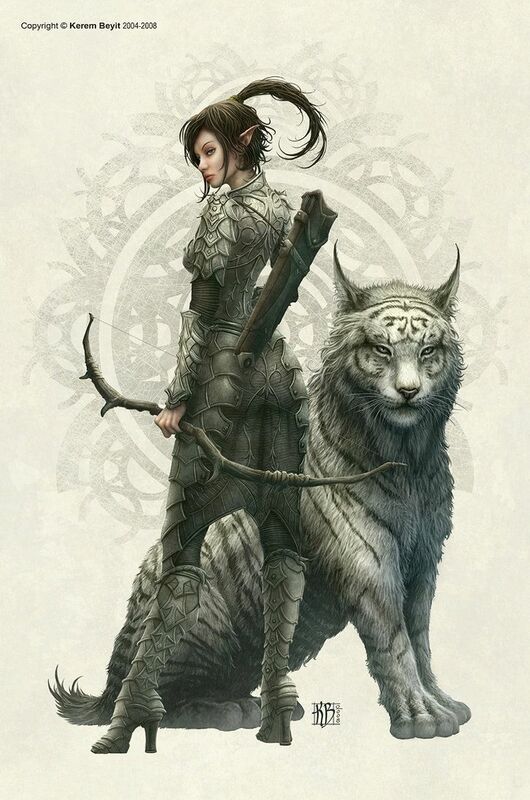 (*) If this is kit is used for a character that has Tracking as a class ability, replace with Mimicry. (*) Includes knowledge of seasons, moon cycles, stars. Many of the above kits presume that characters know how to read and write. If this isn't the case (barbarians, peasants, etc. ), give the character a free skill slot. DMs can create any number of variations as best fits their games and what their players want. Easy!